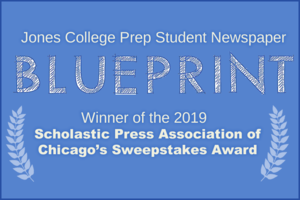 JCP’s Blueprint student newspaper won the Scholastic Press Association of Chicago’s Sweepstakes Award and other honors. 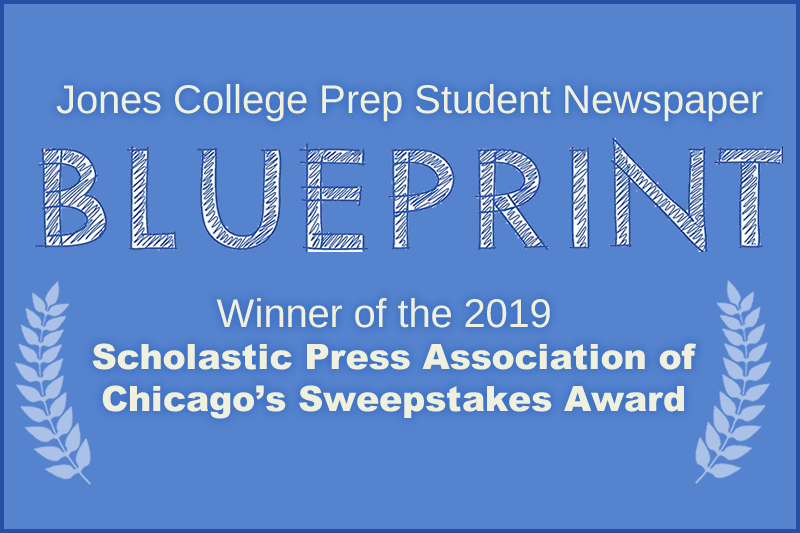 Jones College Prep’s Blueprint student newspaper won the Scholastic Press Association of Chicago’s Sweepstakes Award, the highest honor for a scholastic newspaper in the Chicagoland area, on Friday, March 22, 2019. The Blueprint won the top prize for the second time in only four years of competing. Lane Tech had won the award for 19 consecutive years prior to Jones’ first time winning the best paper in 2017. When Lane narrowly defeated Jones in 2018 for the award, then-incoming Editor-in-Chief Jack Bedore ’19 and editors of the Blueprint began their laser-focused goal of winning the back the plaque, and they succeeded. Four individual write-off competitions were held on-site on at the annual workshops, and Jones won two of them with Eryn Barnes ’19 winning the opinion category and Carter Frye ’19 winning the sports category.